It's not to early to start thinking about summer camp 2015! 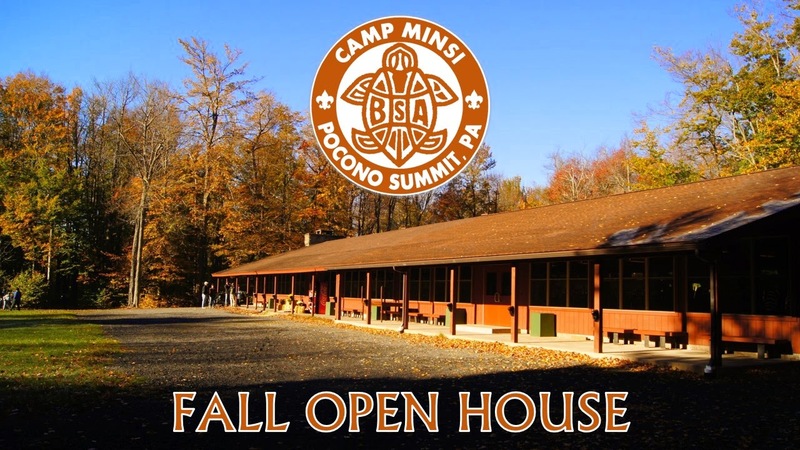 Come stop by our Fall Open House on Saturday, October 11, 2014 to check out what Camp Minsi has to offer your troop or crew. Our summer camp staff will be hosting an open house from 12:00pm (noon) to 5:00pm at Camp Minsi in Pocono Summit, PA. Learn all about our 2015 programs, receive guided tours of the camp, apply for camp staff positions, and much more! The event is free to any Scoutmasters, SPLs, committee members, Scouts, parents, or aspiring staffmembers; if you are you planning on attending the Fall Open House, please let us know your plans by sending a brief E-mail to campminsi@gmail.com so that we can be prepared for your visit. If you want to make a weekend out of the event, overnight camping accommodations are also available.